Just as the name implies, this cocktail marries sweet and heat. It features a ginger vodka along with habanero pepper. Pairing the two distinct spiced flavors seem like a bold move for a martini-style drink, but it is actually quite delicious. This innovative recipe was created by Alex Straus of Suite 700, a now-closed bar in the Hotel Shangri-La in Los Angeles. It has a wonderful balance of sweet and spicy that is sure to excite your taste buds. 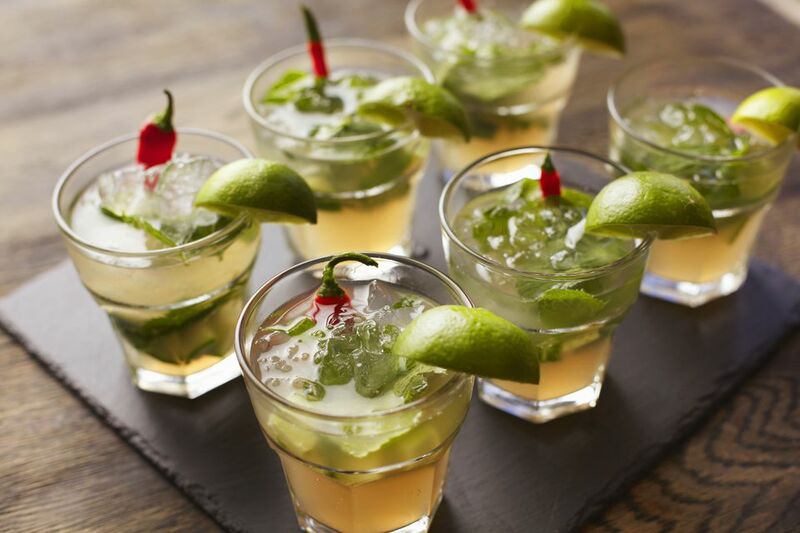 As with all spicy cocktails, it is recommended to ease into the use of pepper because it can quickly overpower the drink. Follow the recipe, enjoy the cocktail, and make small adjustments if you think it's necessary. Gently muddle the pepper slice in a cocktail shaker. Add the vodka, agave nectar, and lime juice, then fill the shaker with ice. Garnish with candied ginger on the rim of glass. Ginger is not the most common flavored vodka on the market. In fact, this recipe was originally intended to use Skyy Ginger, but that was short-lived and is now discontinued (not an unusual situation). There are a few companies that do produce it; Belvedere Ginger Zest is probably the most widely distributed option. Many small distilleries do take on the flavor, though, so be sure to keep an eye out for brands that are new to you. Ginger vodka is amazing and worth the hunt! The other option is to go with a homemade ginger vodka infusion. This allows you to use any vodka you choose, though it does take almost two weeks to reach its peak flavor. You will need 1/2 cup of fresh, sliced ginger for a 750ml bottle of vodka. Place the two ingredients in an infusion jar, shake every couple of days, and store it in a cool, dark place until the flavor reaches your desired intensity. A cocktail with this much spice is definitely going to be best when served in a chilled cocktail glass. If you don't have one pre-chilled, place a few ice cubes in it while shaking up the drink, then dump them out before straining. Serve this cocktail on the rocks in an old-fashioned glass if you prefer. How Strong Is a Sweet Heat Cocktail? Since ginger vodka is the only liquor in this cocktail, it's lighter than most drinks of this style. Generally, you can expect its alcohol content to fall into the 15 percent ABV (30 proof) range, making it just slightly stronger than a glass of wine. Its punch of flavor definitely outweighs its alcohol kick!